Washington provides a rich palette to the winemaker, and we try to reflect this diversity in our wines; from our crisp fragrant estate grown whites, perfectly suited to the region’s culinary treasures, to classic and unusual reds and whites from varieties grown in some of eastern Washington’s finest vineyards. 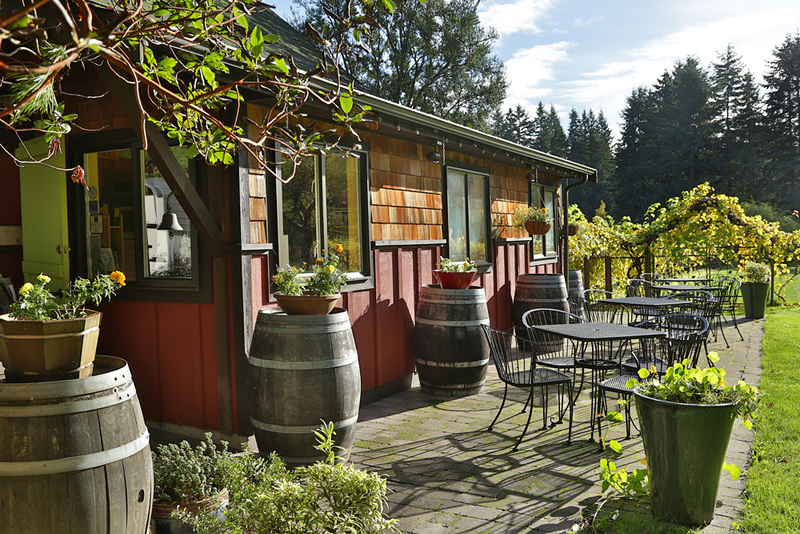 We chose Whidbey Island as an ideal site for a vineyard and winery, planted the first grapes in 1986, and opened the winery doors in June of 1992 with 400 cases of wine. 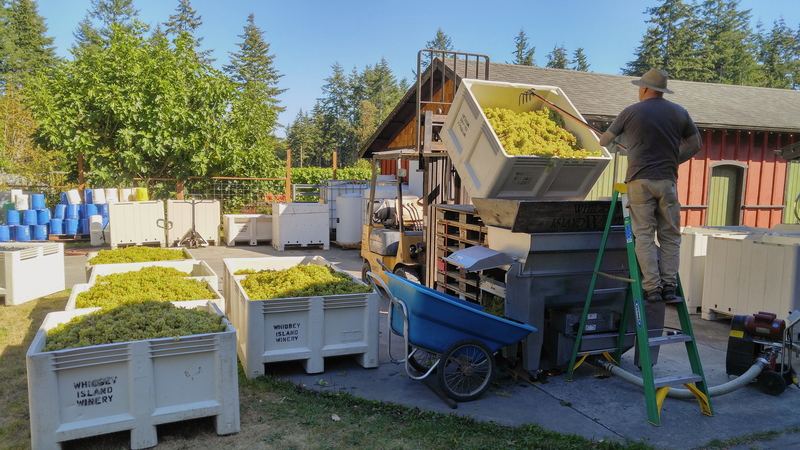 We now produce about 3,500 cases a year and distribute throughout Washington state. Having gained a reputation for wines of outstanding quality, balance and value, we invite you to come discover our award-winning wines, enjoy the winery grounds, and learn more about grape growing and wine making. Yes, we do grow wine grapes (Vitis Vinifera) on Whidbey Island! No, it doesn’t rain all the time (just don’t tell anyone). In fact the growing season is quite dry, our northern latitude gives us long summer days with cool nights, our proximity to water gives us mild winters, creating unique conditions for grapegrowing. We plant varieties from the cooler parts of Europe-France’s Loire valley and Alsace, Germany and eastern Europe. The resultant wines are delicate, crisp and fragrant; outstanding accompaniments to seafood. At the moment, all of our island grown varieties are white, but we are actively involved in research efforts to explore new varieties for our climate, among them, several very promising reds. Whidbey Island is within Puget Sound American Viticultural Area (appellation) which was approved by the federal government in 1995. We also produce almost half of our wines from grapes grown in selected vineyards in eastern Washington. 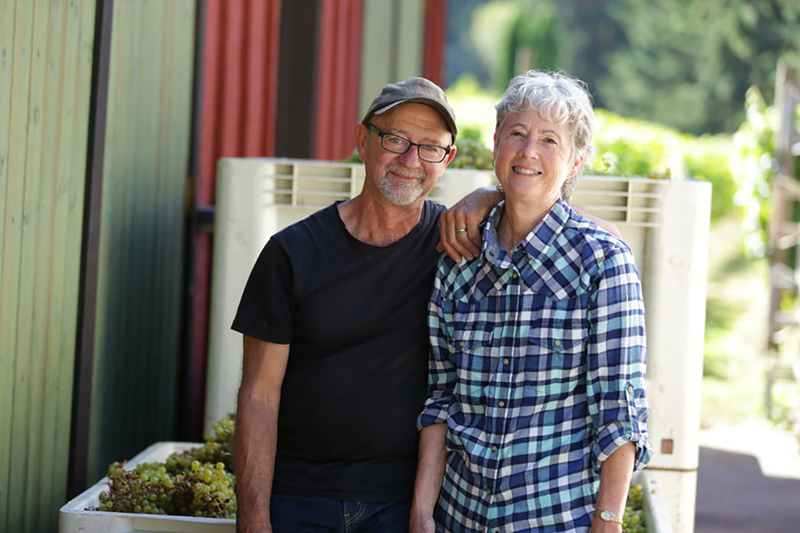 Charlie and Connie Crawford of Crawford Vineyards in Prosser have been supplying us with exceptional grapes since 1989 and we supplement that with small lots from other sites in the Yakima Valley, Rattlesnake Hills, and Horse Heaven Hills regions.